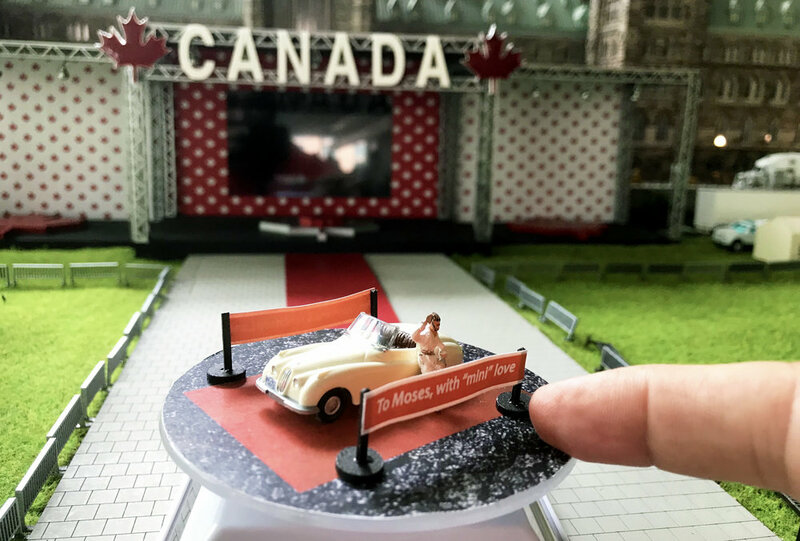 During the three-day event, our modelling team transformed the front lawn of our miniature Parliament Hill into a spectacular Canada Day celebration, with fireworks, a stage and hundreds of miniature Canadians sporting their red and white. 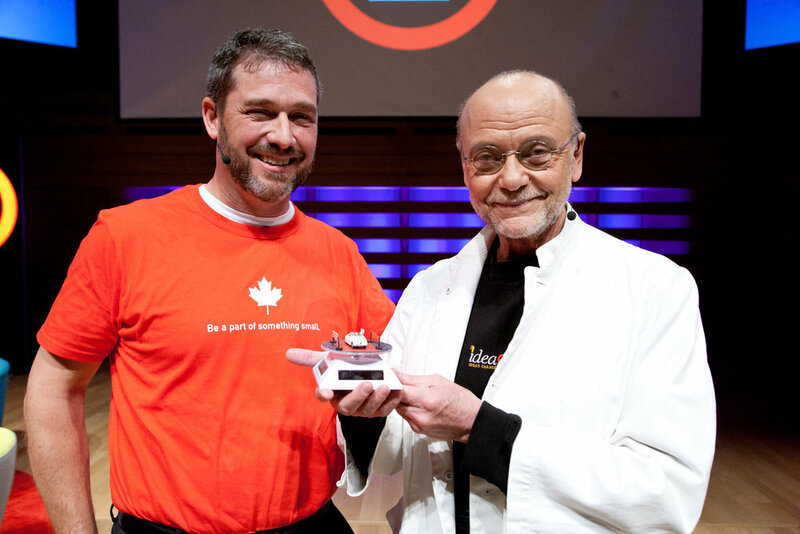 Each day IdeaCity guests wandered over to peek into the magic being created and see what new details had been added. Also, as you may already be aware, we enjoy making things in mini, so as a big thank you for this opportunity, we presented Moses with a miniature model of his beloved Jaguar XK120 automobile. Thank you again to the team for their efforts on making this event such a success! Maurice’s Big Canada Day Tour!